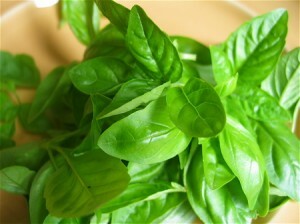 Basil is an annual plant and one of the principal members of the “Mint” family. It is also known as Sweet Basil. 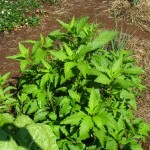 This plant is used as a herb and is one of the main ingredients in various cuisines all over the world. The scientific name for this plant is Ocimum Basilicum. 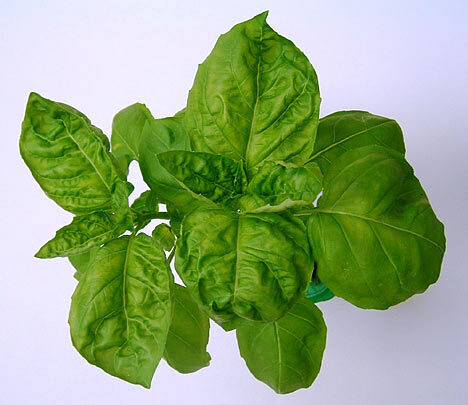 The plants acquired the name “Basil” from the Greek word “Basileus”, which means “king”. Due to this reason, it is still referred to as the “King of Herbs”. These plants are native to India where they are considered sacred. 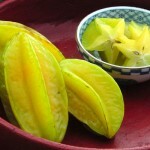 However, it was considered to be harmful and poisonous during ancient times in some countries. But this concept has completely died away with time. There are many different varieties of these plants with different appearances. Height: Most of the varieties reach an average height of 2.5 feet. The plants usually spread into a wide area. 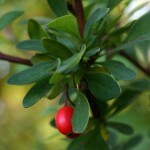 However, there are dwarf plants growing only up to 6 inches in height. Leaves: The leaf color may vary from different shades of green to red and purple. Flowers: The flowers may be white or brown. Thai Basil – These plants usually grow up to 24 inches in height and are 2 feet wide. Genovese Basil – It has wrinkled dark green leaves with an aroma similar to cloves. These are principally used in Italian cuisine. Holy Basil – This variety is also known as Sacred Basil or ‘Tulsi’ (in Hindi). These plants are originally from India and are principally used in Thai cooking. 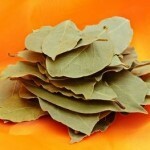 People of Hindu religion use these leaves for worship. Lemon Basil – The plants of this variety have flat and narrow leaves with a citric aroma. 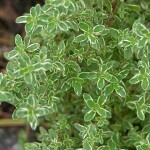 Cinnamon Basil – The leaves of these plants have a Cinnamon-like scent. These purple flowered plants are also referred to as the Mexican Spice Basil. African blue Basil – This beautiful variety is one of the few perennial members of this species. They have a strong camphor-like smell. In addition to the above mentioned, there are numerous other varieties of Basil like Red Rubin, Boxwood and Lettuce Leaf. It is originally from India. However, the plants are cultivated in different parts of the world including Italy, Egypt, France, Morocco, USA and Hungary. These plants can be easily cultivated from seeds which take less than two weeks to germinate. 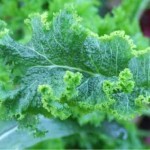 One may also buy a small plant and grow it in the garden or indoors. 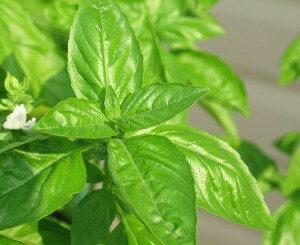 The Basil plants need pruning once every 2-3 weeks to grow properly. Soil: The seeds are sowed in well drained soil. The pH or acidity of the soil can range from 5.5 to 6.5. Sunlight: These plants need plenty of sunlight to grow. Water: They also need ample amounts of water. 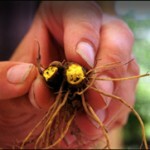 It is ideal to keep the soil slightly moist. Climate: The Basil plants grow well in tropical climates but they are unable to survive in cold weathers. It is important to know about the right time for harvesting the leaves, while retaining their finest aroma. Once the flowers bloom, the leaves of the plant turn bitter and lose their flavor. It has been used by mankind for diverse reasons for a very long period of time. Different varieties of these plants are used for different purposes. It is one of the most used herbs in the world and is used in numerous cuisines. 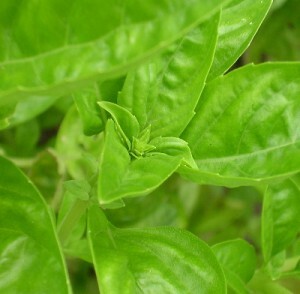 Thai Basil leaves are principally used to prepare stir fried foods. The leaves of the Lemon and Lime Basil are ideal for dressings and salads. The seeds of the plant are often used in Asian desserts and drinks like falooda and Sherbet. The leaves of these plants are used to prepare “Basil Tea” which helps to prevent diseases like Dengue and Malaria. 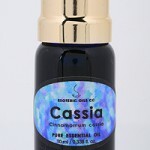 The leaf extract is used in cosmetics as it is beneficial for skin and hair. The oil extracted from these plants is used in aromatherapy to improve mental strength. No other herb can be an ideal replacement for it. 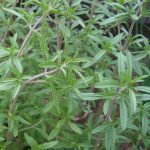 However, one may use Thyme or Oregano as a substitute for Basil in case it is absolutely unavailable. Oil is extracted from the leaves and flowers of these plants using the steam distillation process. 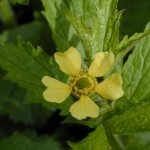 The greenish-yellow essential oil is used for many medicinal and other purposes. Sometimes, it causes irritation when applied to sensitive skin. Numerous health benefits can be derived from these plants. Anti-Bacterial properties: The volatile oil of this plant contains fatty acids including Estragole, Eugenol, Cineole and Linalool. These give the plant strong anti-bacterial properties. 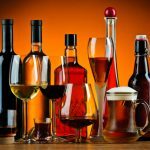 Due to this reason it can be useful to fight certain bacterial diseases like Staphylococcus aureus, Listeria monocytogenes and Pseudomonas aeruginosa. Anti-Inflammatory: It also possesses anti-inflammatory properties which make it very healthy for people with migraine and arthritis. The Eugenol content in it prevents swelling of the different parts of human body. 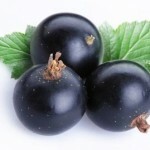 Good for the Heart: It helps the heart by increasing the circulation of blood and relaxing the blood vessels. Digestive Benefits: Basil tea is beneficial for constipation, indigestion, gas etc. Respiratory Problems: It relieves problems like cold, flu, asthma, whooping cough and bronchitis. 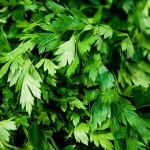 One should avoid consuming this herb in any form during pregnancy as it may cause contractions. 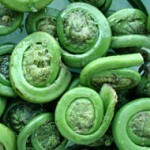 It is used as herb and the fresh or dried leaves are added to a dish to improve its flavor and taste. The stems and the flowers are not used in cooking. There are two ways to store this herb. Drying – One may dry the leaves in order to store them for more than a year. The leaves are usually placed between two sheets of newspaper and hung to dry. They can also be placed on a baking sheet and dried in the microwave (350°C). Freezing – The leaves are frozen inside an ice cube or in a blended form in a freezer bag. Despite having a very long history, there are still many things about this plant that one may not know. There are more than thirty varieties of this plant. In ancient times, some people believed that smelling these leaves will grow scorpions in one’s brain. These plants are sometimes known as Saint Joseph’s Wort. This herb is available at herb stores all over the world. It is also available at any online herbs and spices store. One should immediately seek medical consultancy if any of these side effects occur. 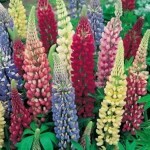 Here are some images of some varieties of this plant.